one size - circumference: 28", depth: 13"
Stripes and a buttoned placket make Blackstone Road the perfect fashionable, extra warm accessory for chilly days. 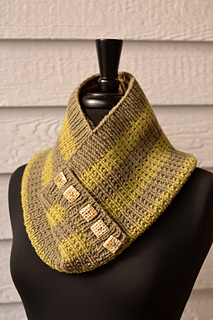 Knit in sturdy worsted weight yarn, this piece works up so quickly you’ll want to make more than one! 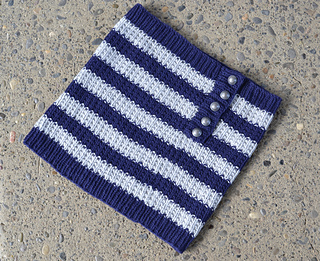 This pattern uses 2 colors; 220 yards each.